Thinking of what to have for breakfast everyday? Or you don't actually eat breakfast? Please take breakfast everyday for your own good and you will notice actually yourself will be more energetic for rest of the day. So, already understanding the important of breakfast? I have a very great breakfast to share with you guys. I think you guys already know what actually I want to share because quite alot of famous blogger already share it out. 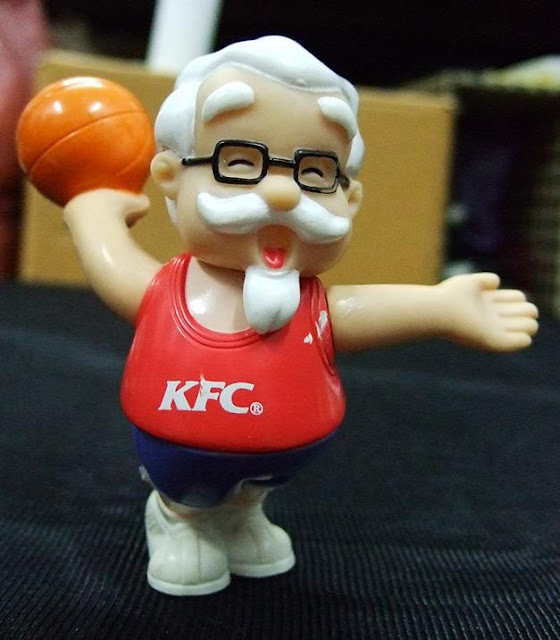 Share a very cute white uncle to you guys first before continue my words. Yes!!! This is the one!!! 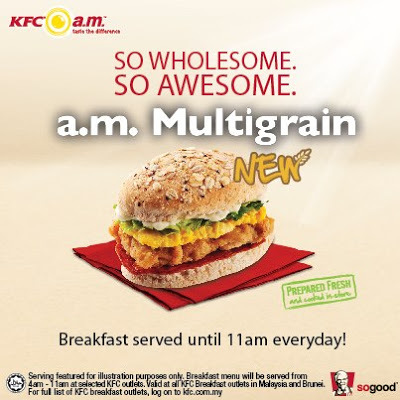 Introducing the new KFC a.m Multigrain. 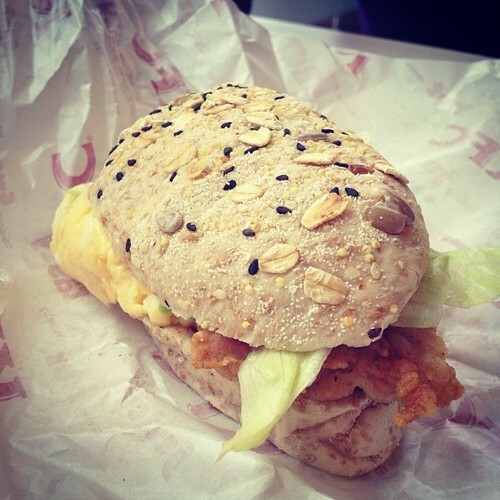 Tender, juicy O.R fillet, crispy chicken strips, fluffy scrambled eggs, creamy mayonnaise and fresh lettuces all in between a warm, wholesome multigrain bun. The awesome part was if you're burning your midnight oil or u partying till early in the morning, you can get this thingy start from 4 a.m till 11 a.m.
KFC has more options to choose which has with coffee/tea/teh tarik ‘kaw’/orange juice(s). Omo omo!!! No more coffee or teh concept breakfast. Try this awesome thingy at least once in your life for only RM6.95. join the contest and win yourself a ride today!!! Hii nice blog and nice to meet u at blogger Fear Factor Saturday in sunway... hope can be blogger friend ok..